Ep. 28 of .hack//Sign provides the upbeat conclusion to both the .hack//Sign series as well as the four PS2 video games that follow it. A mere filler at the end of the .hack//SIGN story presenting all characters of various .hack stories at a final celebration, as such not unlike Kanon: Kaza Hana. 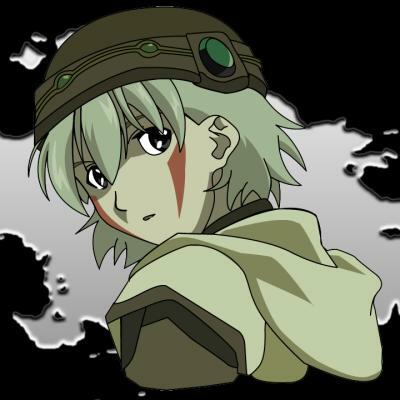 In any case weaker than .hack//Intermezzo. Last updated Monday, November 30 2009. Created Sunday, July 05 2009. .hack//Unison (Special) An extra for fans of .hack//Sign and the first set of video games where the casts from both media platforms visit each other at a bar and eventually have a party. The omake does feel out of place considering all the serious events and revelations that one became used to from both sets. But I guess a celebration was needed after all the insanity that both casts went through with Morganna and her monsters. The animation style and powerful music tracks of .hack//Sign are retained for this OAV. This makes for a good treat for those who went through both .hack//Sign and the video games. But, it's not worth watching more than once. Last updated Tuesday, May 06 2008. Created Tuesday, May 06 2008. Last updated Thursday, April 15 2004. Created Thursday, April 15 2004. .hack//Unison (Special) I'm glad this gives .hack//Sign and the games a warm and happy ending but a bit parodish. Having the main characters meet up in the bar and then go partying is a bit out of place, IMO. However, if you don't like incomplete endings (like ep. 26 of SIGN), I recommend that you see this. Last updated Wednesday, November 26 2003. Created Wednesday, November 26 2003.